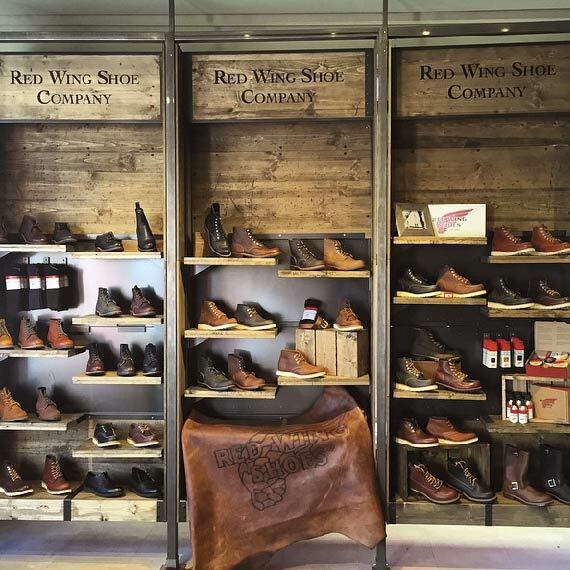 The Red Wing Shoes brand is built on small-town, working class roots. As an iconic American brand for over 100 years, upholding the pride and integrity of that heritage, through all visual communication, is paramount. Rather than shiny, crisp, and new, the Red Wing Shoes aesthetic skews toward weathered and time-tested. 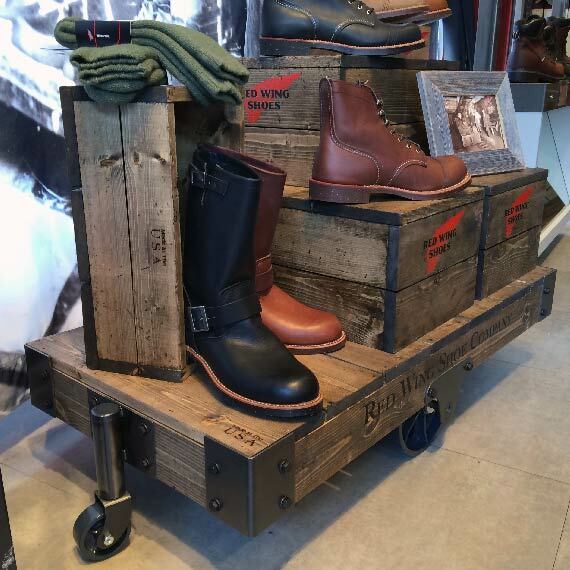 Since 2010, Built has provided Red Wing Shoes with original, durable, hand crafted retail solutions. Key wood elements of the program have been hand crafted out of reclaimed wood – wood harvested from the 110-year-old warehouse and design studio that is the home of Built. No two parts or pieces are identical. It is a truly authentic process that yields perfectly imperfect, beautiful results.